What can you do with a red pack of ribbons! Oooh! lots! With Valentines Day just round the corner, (Sorry had planned on using the Valentine pack from the January Pack Sale for this project, but we are sold out.) 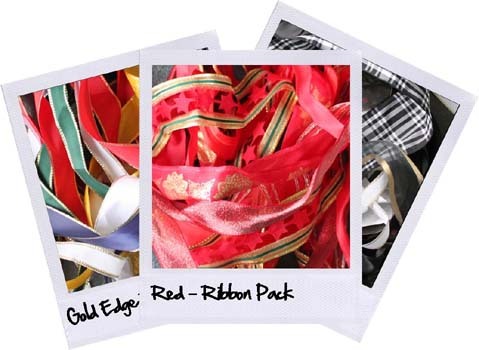 This Red Pack of ribbons (can be found HERE), not only is a bargain at £1.00 but has multi uses, Valentine - Christmas - Birthday, Parties - I could go on and on!! 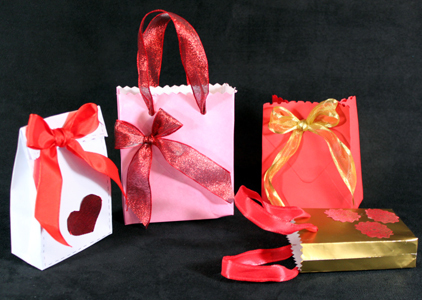 Can you guess what these little bags are made from? Thats right envelopes. We all have the odd envelope lying around, well I do -loads. 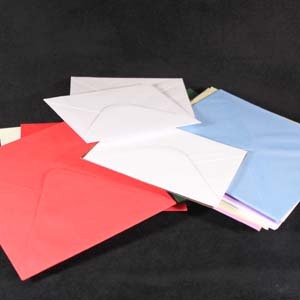 I am not sure where they all come from, I can not remember the last time I bought a coloured envelope!! 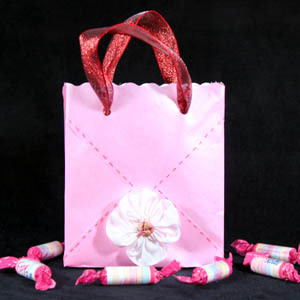 With a few folds, a hole punch, scissors and some gorgeous ribbon you can have a gift come party bag in seconds. Seal the envelope down and wait a few seconds while it sticks. 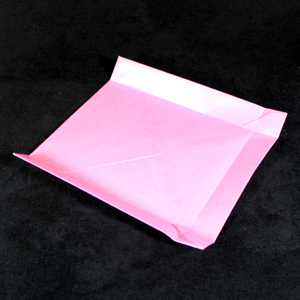 Fold along three edges of the envelope, the distance will depend on the size of the envelope you are using. 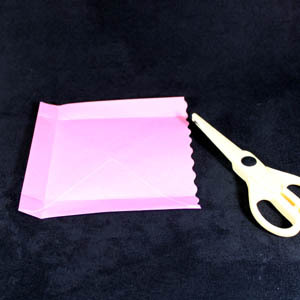 Cut along the edge without the fold with a pair of fancy scissors. I have a huge bag of these scissors and this is the first time I have used them - naughty, naughty Ali! 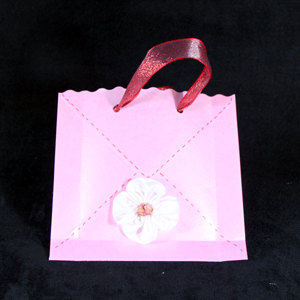 Punch two holes on the top edge of the bag so that you can thread the ribbon handles through. Decorate the envelope any way you like. I added faux stitching with a red pen, and then a ribbon flower. Simple! Open the bag up and put your hand inside, work the folds with your fingers, while opening the envelope out into the bag shape, I hope you get the picture. I tried taking a photo of this stage, but holding the heavy Canon with one hand, while the other was stuck up an envelope, didn't work!!! Sydney came into the warehouse yesterday after school, and as usual straight into my workroom. She saw the bag on my desk, "Oh, that's pretty is it for me? And the sweeties?"